Thank you for your interest in the Prius Prime, our most advanced hybrid yet. Prius Prime inventory is low nationwide, but we have a model on view and available to test drive by appointment! New orders are typically fulfilled within 4-6 weeks of order deposit. To make a V.I.P. 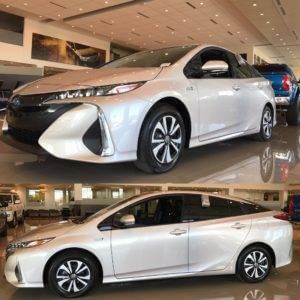 Appointment to view or test drive our Prius Prime model, please fill the form out below and our team will quickly respond, or, please call us at 520-795-5565 for more information.